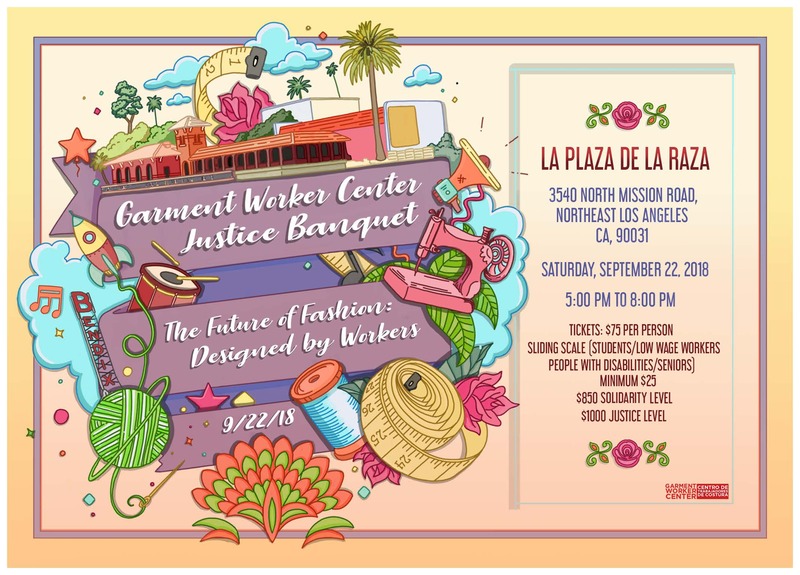 LOS ANGELES – September 19 – The Garment Worker Center (GWC), an organization that promotes garment workers’ efforts to organize themselves and improve conditions in the garment industry, supports the struggle of the South Central farmers who were forced to leave the land that Forever 21 now wants. In support of this struggle the GWC wants to make it clear that workers who sew Forever 21 clothing still come to the organization seeking help to rectify labor law violations and with many complaints about work conditions. These violations continue to occur even though, in December 2004 when Forever 21 settled a law suit with the GWC, after a 4 year boycott, Forever 21 said they would ensure that factories, with whom they sub-contracted, were in compliance with labor laws. “We want to make it clear to the public and to the politicians that they cannot use the economic argument about ‘the good jobs’ that will stay or be added to the Los Angeles economy if this land is given to Forever 21. 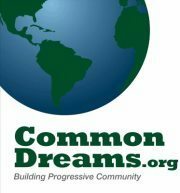 The experience of the garment workers that work with the GWC makes it abundantly clear, that the jobs they have sewing in factories which subcontract with the company are sweatshop jobs, not good jobs” said Delia Herrera, one of the organizers at the GWC. 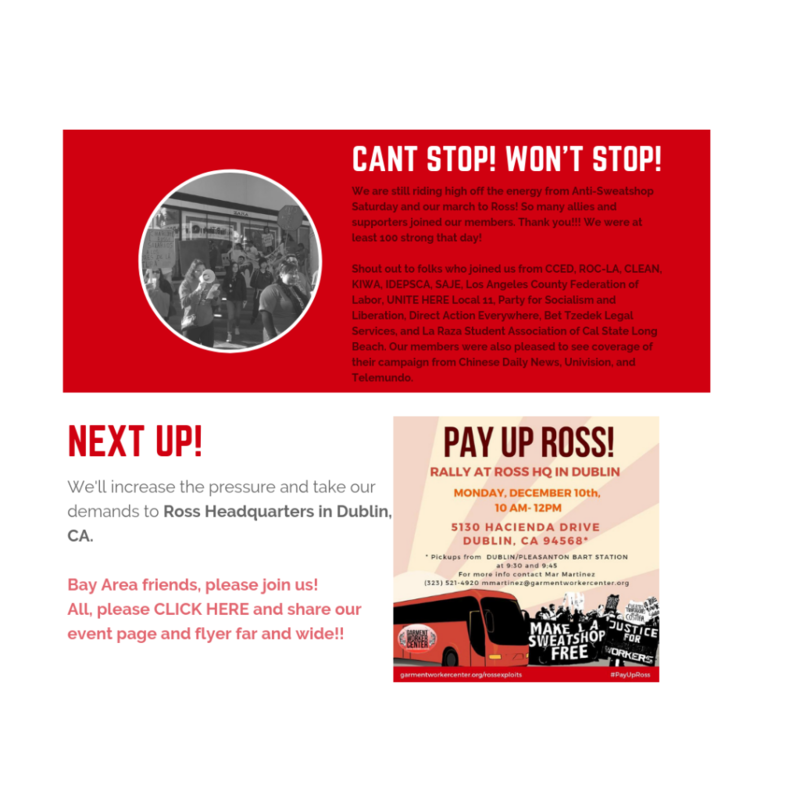 “It’s also appears, from the Los Angeles Times report and information from some of the people working with South Central farmers, that the owner of Forever 21 and a number of the politicians of the city, including the Mayor, who purports to support labor, are collaborating in ways that raise questions about conflicts of interest.” said Kimi Lee, Executive Director of the GWC. “If for some reason the city did give the land to Forever 21, then the only way to make sure that workers are actually treated within the law is to make a formal agreement between Forever 21, Mayor Villaraigosa, and the Garment Worker Center. This agreement should require Forever 21 to release the list of subcontractors that they use every few months, to have a contract which legally bound the sewing factories they use to allow the GWC to do workers’ rights trainings with their employees and agree to have a formal process by which to address grievances. We workers, who make the clothes that make Forever 21 so successful, need to be able to openly defend ourselves against labor violations.” said a worker leader in the GWC who wished to stay anonymous for fear of reprisals. “The Garment Worker Center supports the struggle of the community which surrounds what once was the South Central Farm, because this place was once was a thriving location for fresh food for many members in a poor Black and Latino community which rarely has access to fresh, organic fruits and vegetables. We feel that the Mayor has a responsibility to prioritize the health of the community members.” said LaTrice Dixon, a Board member of the Garment Worker Center.